The Battle of Britain. Photo by Toni Frissell. 1940. 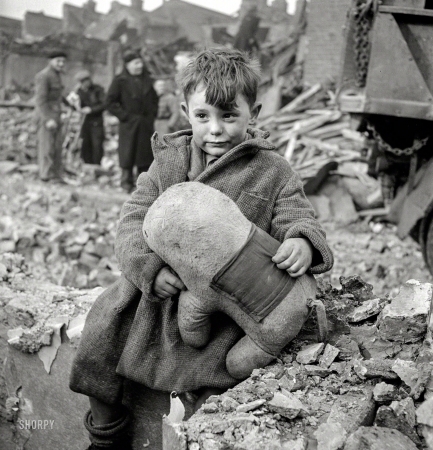 "Abandoned boy holding a stuffed toy animal amid ruins following German aerial bombing of London."